Hermann Staiger was born at Tennenbronn in the Villingen region of Baden. At the beginning of World War 2, Staiger was serving 1./JG 20. He scored his first victory on 31 May 1940 over a RAF Spitfire. 1./JG 20 was renamed 7./JG 51 on 4 July 1940. Staiger flew combat during the Battle of Britain and achieved eight further victories. Staiger was appointed Staffelkapitän of 7./JG 51 on 25 August 1940. He led the unit in the invasion of Russia. Staiger claimed three Russian SB bombers shot down on 22 June 1941 and followed this with a further four on 30 June 1941 to record victories 17 through 20. However he was to be shot down by Russian flak in Bf 109 F-2 (WNr 8083) and seriously wounded on 13 July 1941. Oberleutnant Staiger was awarded the Ritterkreuz on 16 July for 26 victories and the many ground attack missions he had performed while based in Russia. Following a spell instructing, Staiger transferred as Staffelkapitän to 12./JG 26 on the Channel Front arriving there on 5 July 1943. Here he soon came into contact with the American bomber raids and succeeded in shooting down five B-17s in a little over a week at the end of July 1943. On 10 October, he claimed a B-17 shot down near Münster but was, in turn, wounded by return fire from the bombers. He received additional injuries when he crash-landed his damaged Bf 106 G-6 (WNr 15920) “Blue 2” near Dorsten. He was awarded the Deutsches Kreuz in Gold on 29 October for 34 victories.On 8 March 1944, Staiger took temporary command of III./JG 26 when Hauptmann Klaus Mietusch (75 victories, RK-EL) was shot down and wounded. His most successful day occurred on 24 April. Staiger led III./JG 54 in an attack on 108 B-17s headed for Oberpfaffenhofen. In the subsequent combat, Staiger was to claim three B-17s shot down and a further two Herausschüsse. On 15 May, he was promoted Hauptmann and appointed Gruppenkommandeur of I./JG 26. 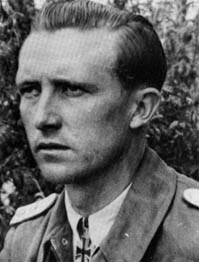 On 1 August 1944, Hauptmann Staiger was transferred as Gruppenkommandeur to II./JG 1.  Then followed a transfer on 12 January 1945 as Gruppenkommandeur to II./JG 7 flying Me 262 jet fighters. Staiger died on 22 June 1964 at Freiburg. Hermann Staiger ended the war with 63 victories. 49 of his victories were recorded over the Western front, including 26 four-engined bombers. He achieved 14 victories over the Eastern front.